The original Sidekick might be all but dead, however it appears that T-Mobile (DT)has decided to re-purpose the name for a new Android powered device which will simply be known as the Sidekick 4G. Considering that Microsoft is expected to pull the plug on Danger’s cloud service come May 31st, this seems to be a wise move on T-Mobile’s side and it’s also a great way to try to keep its customers. The Sidekick 4G does by all intents look like a traditional Sidekick device, but the Hiptop is gone and we’re sure many a devoted Sidekick user will be missing it. On the other hand, the Sidekick 4G is a pretty decent Android handset with an unusual “pop-tilt” mechanism that opens and slides the display into position and reveals the QWERTY keyboard. It’s only running Android 2.2 at launch though which is somewhat disappointing for a device that isn’t expected to arrive until later this spring. That said T-Mobile has put a custom UI on top of Android with some funky wallpapers and lock screens to make the Sidekick 4G more appealing to the youth market it’s targeting. On the hardware side of things the Samsung made Sidekick 4G sports a 3.5-inch screen with WVGA (800×480 or there-abouts) resolution, a 1GHz Cortex A8 Samsung Hummingbird processor, a 3 Megapixel rear camera and a VGA front facing camera. The press release didn’t include details on how much memory the Sidekick 4 G features, but you get a 2GB microSD card in the box. Details on Wi-Fi or Bluetooth support were also scarce, but it will feature a built in GPS, FM radio and a micro USB port. As for the 4G in the model name, well that’s support for T-Mobile’s HSPA+ network with download speeds of up to 21Mbit/s. Two color options will be available, black or black with a touch of pink behind the screen and a silver back. T-Mobile has also made sure to pre-load the Sidekick 4G with the kind of applications they’re hoping will appeal to Sidekick customers such as Facebook and Twitter apps, Qik video chat, T-Mobile TV, Slacker Radio and Samsung’s Media Hub. 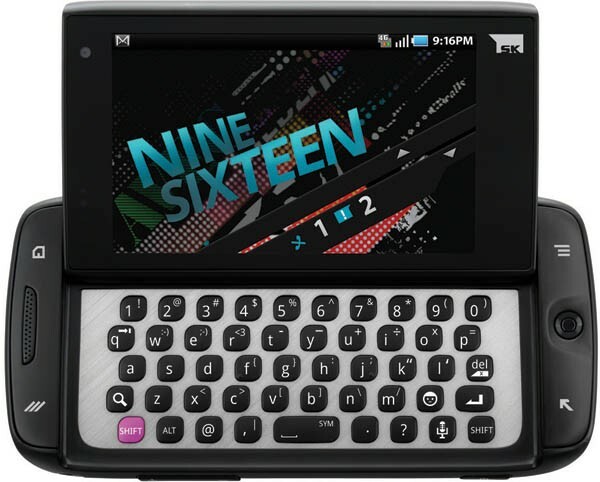 You also get all the standard Google Android apps and the Sidekick 4G supports the Android Market. Despite having a QWERTY keyboard, T-Mobile has also included Swype which is a nice addition for quick messages.